You already know that Salesforce is a colossal platform that helps businesses make complicated sales tasks easy. However powerful Salesforce may be on its own, you may have other systems that are crucial in your database reporting. This is why systems integration is so vital for businesses today. And the numbers show the success, too. The 2016-17 State of Salesforce Report found that nearly 40% of businesses cite systems integration as a pivotal competitive advantage in recent years. So, it’s clearly not a matter of if you should begin integrating external systems with your Salesforce org, but when. More insightful reporting—Employees get more detailed and relevant reports that will help them make better decisions and take the best actions. All-in-one access—Employees won’t have to switch systems to get what they need. They can stay logged into one system to get everything done. Workflow automation—Since integrated systems play nice together, workflows can be automated with point-and-click. 360-degree customer view—Track customer interaction all the way from initial Lead to Opportunity, Quote, Order, Shipment, and Service all in Salesforce, utilizing an integration that can talk to multiple third-party solutions. Effortless access to data—System integration allows data to be accessed from all the integrated systems. The more data you have and can convert into meaningful information, the more information you have for making better decisions. Increased productivity—Teams do a lot of cutting and pasting data to ensure it appears in all systems. However, manual tasks can lead to mistakes and turn into a time-waster. Integrated systems have automated checks and balances to ensure they have the same information. The time spent duplicating data will go away, and employees get more done. The integration of your many applications afford your users cross-data from other departments which grant better insight into the reports you need to make business decisions. For example, if you want to know which of your customers are buying a particular product, you can access your product database in an external application and cross-reference that with your customer database in Salesforce. Or perhaps you want to report on all the activity of your salespeople, but you also want to know how effective they are as it relates to your CSAT score. With integrations, you can bring your view of your salespeople into the same platform as your view into your CSAT scores. In short, integrations with Salesforce create a single source of truth for your reporting. Netsuite affords you a view into your order management system and bridges the gap between your CRM and order management system. Integrating the two gives you the ability to see how many products are available and when products have shipped. This is highly effective for sales reps—customers will call up sales reps and place new orders, and they will want to know the availability of that order in real-time. If a customer asks where bills are, your sales rep can easily address that concern. From this, you can glean better forecasting, and that translates to increased marketing activity inside Salesforce. SAP is very similar to Netsuite in that both applications are ERPs. SAP has almost the same conditions— you can see order status and availability of products and view that information inside Salesforce. Microsoft is the malleable center point of your Salesforce integration. It gives you the ability to bring in custom functionality to your organization. Microsoft gives you the segue into legacy customer data and functionality that some companies have built up over the years. This way you don’t have to replace the existing applications that the database is powering. If you’re using an external billing platform, it helps Salesforce to know where the accounts payable are. It goes beyond orders—even at the account level, it’s helpful to know how much you’ve sold and how much you’ve collected. Integrating your billing solution into Salesforce helps you streamline the invoice process. A marketing platform can utilize your customer and CRM information in addition to any other marketing platform information. Being able to send the marketing material, generate lead score, and then convert those into Salesforce-qualified leads is a huge benefit of a marketing platform integration. This is a big one. Contract Life Management (CLM) solutions let you take in all your CRM data, account names, and addresses and it will enable you to generate an accurate contract from Salesforce and email it to them. If you integrate with billing, too, you can automatically put that on the contract and start generating—all from Salesforce, automatically. CLM integrations save you time and save the company money in the long run. The time to bring all of your business solutions into one, single source of truth is now. Systems integrations can help increase team communication, surface valuable insights, and improve the overall productivity of your organization. 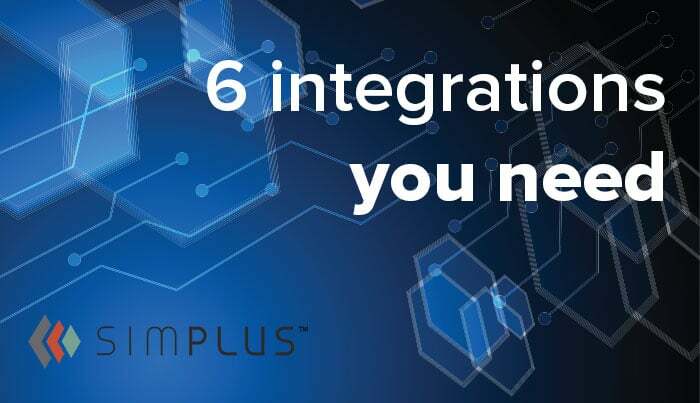 Want to find out how Simplus can help you implement your integrations efficiently? Contact us today! 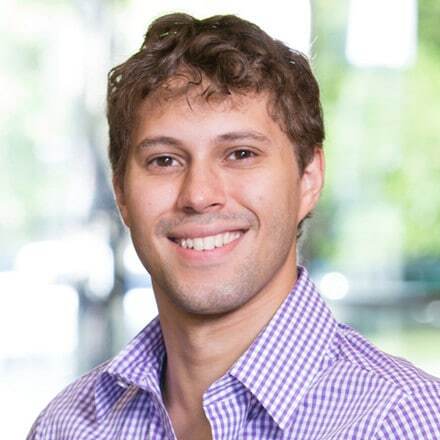 Christian Tooley is the Data Practice Director here at Simplus. He is a motivated and technical professional with expert knowledge of the SalesForce.com platform, Java and Apex Development Database, Web Services, Agile, Certified Scrum Master, Salesforce.com Certified Developer, Salesforce.com Technical Architect, and Application Lifecylce Management. Christian is recognized as a leader with strengths in both the Lightning UX and the Salesforce Platform.